VICTORIA - Though we cry, a cowboy has gone roping in the greatest arena in the world, until we meet again you will ride on in our memories and in our hearts. Rocky Urban, a well-known team roper, calf roper, and breakaway roper passed away after long illness, March 15, 2016 at the age of 67.He is better known as a teacher of young boys and girls, as well as wanting to learn about the sport he loved. Rocky was born in Austin, Texas on January 16, 1949, and moved with his family to Victoria in 1960. George Elwood “Bubba” Monigold, 69 of Weimar, Texas, passed away on February 5, 2016. Bubba was born in Katy, Texas on February 16, 1946. He was also actively involved in the Houston Livestock Show and Rodeo and the Katy ISD Livestock Rodeo. Gary Wayne Sutton 1955 - 2016 Another one of our great friends and team ropers rides away to meet his Lord in heaven 02/03/2016 due to a lengthy illness. Until we meet again you will ride on in our memories and our hearts. 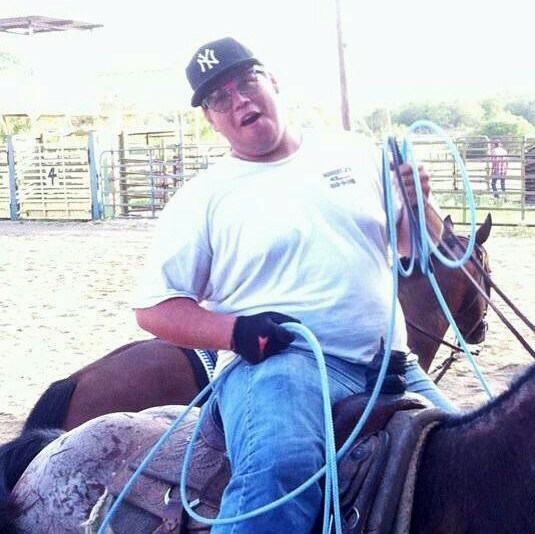 Grant "Shorty" Scott, 37, of Dripping Springs, TX passed away on April 6, 2013. We have lost another young great Team Roper and Friend , you will be greatly missed Colton, until we meet again you will ride on in our memories and hearts. We have lost a great Team Roper and Friend , you will be greatly missed Sterling, until we meet again you will ride on in our memories and hearts.